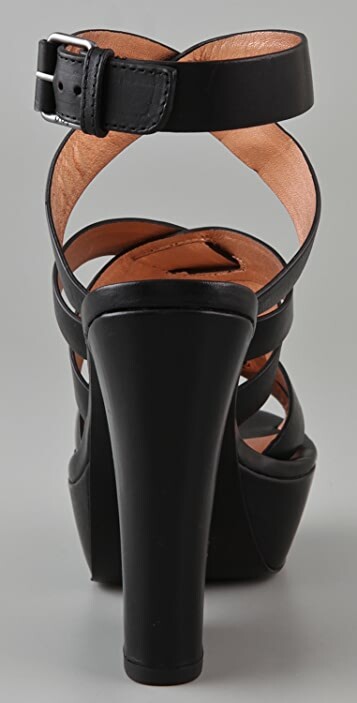 These leather sandals fetaure crisscross straps and a buckled ankle strap. 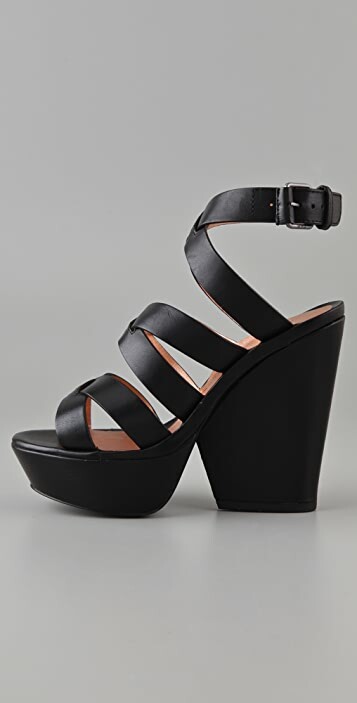 Covered platform and chunky heel. Leather sole. The perfect sky-high platform. 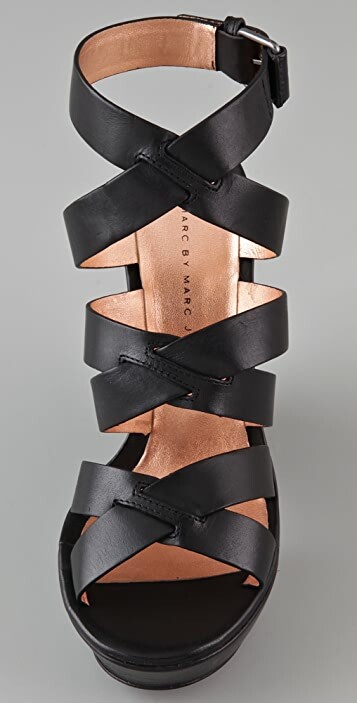 Love the funky heel and ankle strap. Stable and comfy like a slipper. The go-anywhere shoe for me this summer.